This newest Kindle Paperwhite looks almost exactly like the first one, which came out in 2012. There were updates to the Paperwhite that came out in 2013 and 2015, and those looked about the same, too. That’s a 6-year-old design – can you imagine if the iPhone still looked like it did in 2012? In an era when tech companies are trying to out-do each other with innovative, stand-out design, why was the Paperwhite so dated? And then I realised that the answer is two-fold. On one hand, Amazon has zero reason to change the design. Who is it competing with? 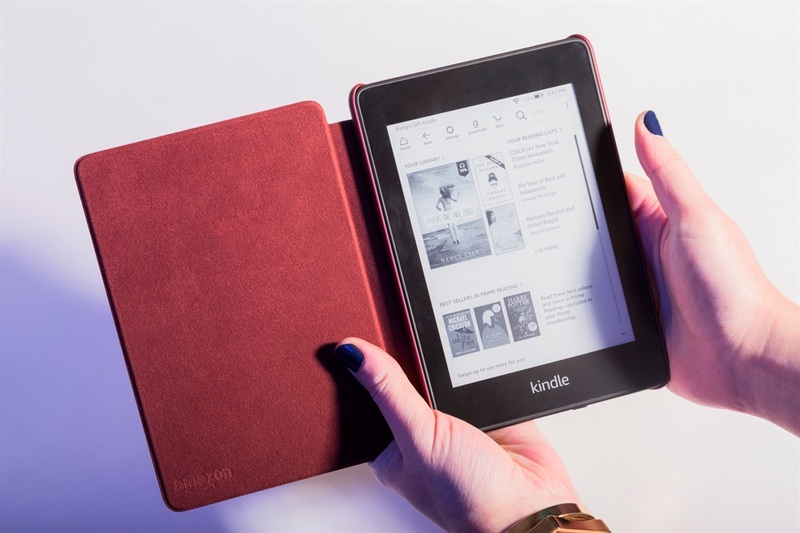 The Kindle has single-handedly dominated the e-reader market. On the other hand, even if Amazon did have competition, would it really be a good thing to change the design? Shrinking the bezels down to look like a modern smartphone or tablet would make it harder to use. What would people hold on to if the device was all screen? Amazon made two key changes to the Paperwhite that do bring it to the present: it’s waterproof, and it has more storage. Battery life is one of the key reasons to consider the Paperwhite over reading on an iPad or just using your phone, because you’ll rarely have to think about charging this thing. In an era when most of us have two or three devices that need to be charged every day, it’s refreshing to have something you can toss in your bag or leave on your nightstand that’s ready and waiting anytime you want to use it.